The Houston Texans extended several players on Thursday, but there’s little question that No. 10 was the most important among them. DeAndre Hopkins has managed to do the wide receiver equivalent of spinning straw into gold over the course of his four-year NFL career, making big plays even with less than stellar quarterbacks slinging him the ball. Now he’ll get a chance to find out if the Houston Texans can find a difference-maker in the huddle over the long term. 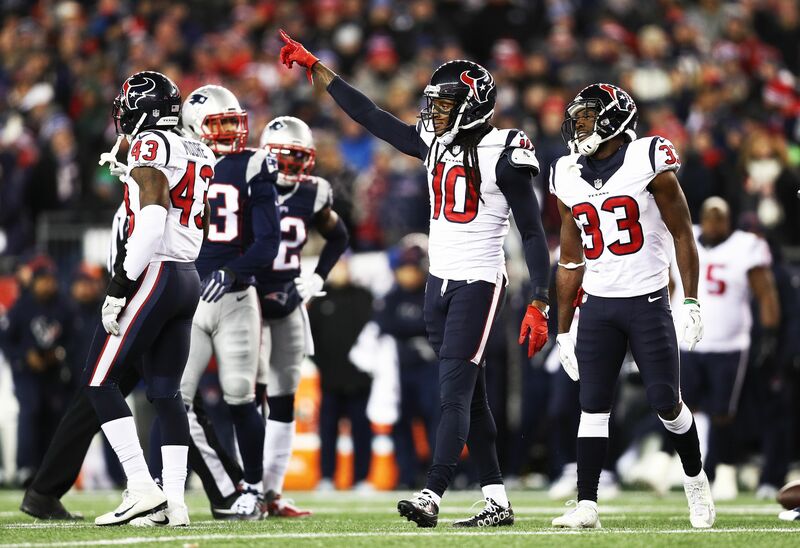 Ian Rapoport was the first to break the news that Hopkins has agreed to a five-year extension with the Texans, which will keep him in Houston into the next decade. Rapoport also followed with the terms of Hopkins’ new deal. The #Texans and star WR DeAndre Hopkins agreed to terms on a 5-year extension worth $81M, per @JamesPalmerTV and me. Nearly $50M guaranteed. In terms of annual value, the extension makes Hopkins the second-highest paid wide receiver in the NFL, behind only Pittsburgh’s sublime Antonio Brown. However, when it comes to guaranteed money, Hopkins reigns supreme, and it’s not even close: Over the Cap has Julio Jones and Demaryius Thomas tied for first prior to today at $35 million. While it might seem a risk to commit that much dough to a player coming off a down year — Hopkins’ 954 yards and four touchdowns were both his worst totals since his rookie season — it’s not that difficult to follow the thinking here. The QB situation in Houston was a mess in 2016, to put it bluntly, and he still managed almost 1,000 yards. At only 25, he’s also young enough to ensure he’ll be in his prime if and when 2017 first-round pick Deshaun Watson becomes “The Man” to lead the Texans forward. If he doesn’t, at least Hopkins is around to help ease the transition to whoever’s next, something he already has plenty of experience in doing.